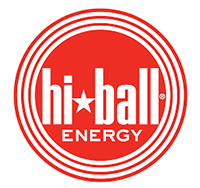 Hiball Sparkling Water is the All Natural, No Artificial Energy Alternative! Organic and All Natural. Free Shipping. Sparkling Energy Waters. Energy without the Crash. Product Subscriptions. Easy to Buy Online. No Artificial Ingredients. Organic Energy Drinks. Start the New Year Right.